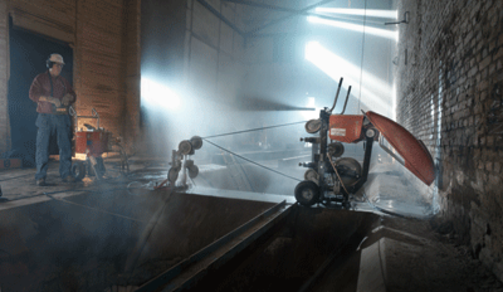 JEM Concrete Drilling & Sawing has equipment to perform wire sawing at nearly any location. We are able to saw through concrete, masonry, rebar, refractory, and steel plate or shell. Contact us today to learn more or to get an estimate for our wire sawing services!